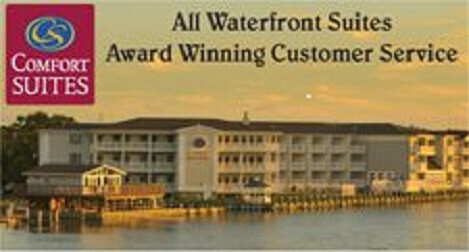 Welcome to Chincoteague Island…where the Award Winning Waterfront Comfort Suites awaits you! Let us share our southern hospitality, scenic views and relaxing, spacious accommodations while you enjoy the natural beauty and outdoor adventures on Virginia’s only resort island. 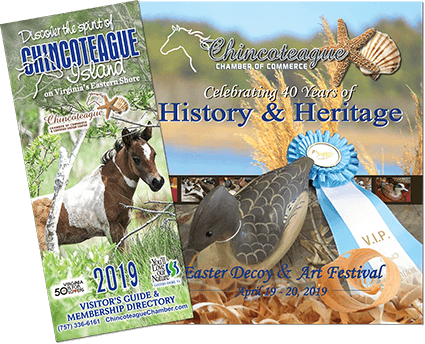 All suites feature private balconies overlooking the Chincoteague Channel and Bay, plush bedding with your choice of soft or firm pillows, refrigerator, microwave, fast wifi, and a comfortable sitting area with a table and chairs, as well as a cozy sofa bed. Our executive king suites feature a desk with plentiful workspace and charging ports. Take advantage of our FREE hot breakfast served each morning from 6-11am, 24 hour coffee, juice, fruit and tea, FREE nightly socials, FREE newspapers and convenient guest laundry facilities, business center and marketplace. In addition, you may enjoy our heated indoor pool, outdoor pool, whirlpool, sundeck, picnic area and newly renovated fitness center. Fishing and crabbing is also great from our waterfront boardwalk. Our location is excellent – minutes from Assateague Island, Wallops Island and walking distance to boutique shopping and many local restaurants and lounges. Plan your intimate bayfront wedding with Comfort Suites at our beautiful waterfront gazebo. We offer wedding packages from elopements to a guest list of 150, group lodging, catering assistance, honeymoon packages and more. Comfort Suites Wedding Brochure. For that special occasion, treat yourself to a get-a-way in our beautiful whirlpool suite. For the extended stay, we offer larger, efficiency suites. And, for your business needs, let us make your next meeting a successful and memorable event. Whether you are traveling on business or leisure, Comfort Suites has something for everyone and is the perfect place to call your home away from home.